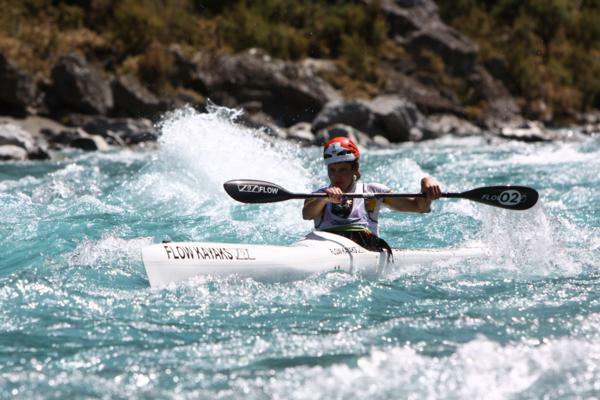 The experienced Pretto completed the men’s podium last year coming home just 10 minutes behind fellow Australian Hunt, setting up an intriguing trans-Tasman battle in the men’s event with leading New Zealanders Dougal Allan and Sam Manson. After three efforts that includes a third as well as last year’s runner up result Hunt knows what it takes to perform well at his favourite race. Reluctant to talk up his chances of winning Hunt says it’s harder to predict how the racing will go this year without a past winner on the start line. Hunt has not raced since being part of the winning team in the prestigious Wulong Mountain Quest adventure race China in September last year, but has trust in his training processes has says he has put the required effort in to be race ready in February. To win the Coast to Coast Hunt knows he needs the prefect day which requires nailing the run and all of its technical features and being strong in the kayak while being conscious of saving enough energy to and try and hold off the other strong contenders on the final bike leg. He is stoked to see more Australians competing in the Kathmandu Coast to Coast, saying he thinks it’s become more accessible under new ownership and the direction of previous race Director Richard Ussher. Inspirational burns survivor and ultramarathon competitor Turia Pitt is doing the event’s tough mountain run, a further example that the Kathmandu Coast to Coast is fast becoming a must do event for more and more Australian endurance athletes.